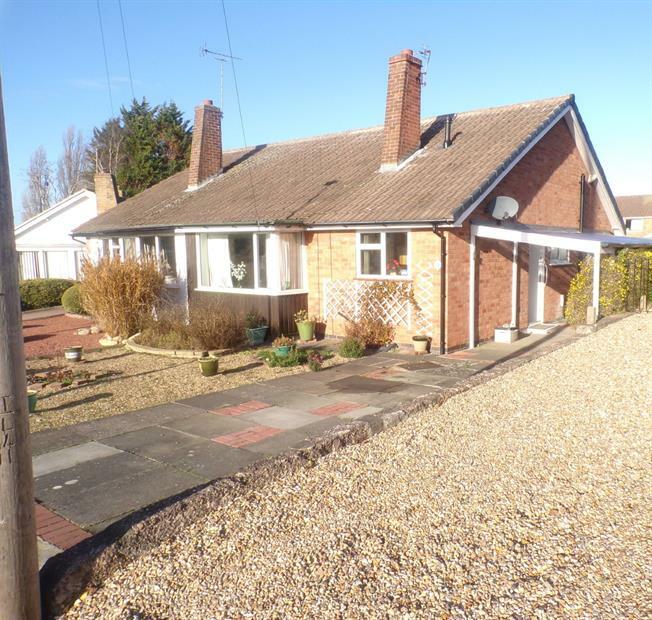 2 Bedroom Semi Detached Bungalow For Sale in Leicester for Offers in excess of £220,000. This two bedroom semi detached Bungalow is situated on a quiet residential cul-de-sac, and would be ideal for anyone looking to downsize. Has the benefit of a brand new bathroom with walk-in shower, a new boiler and a long driveway for 2 cars. Internal viewing is highly recommended. Wall and base units, space for oven and washing machine. Double glazed window facing the front aspect. Carpeted flooring, ceiling lights and uPVC window to the front aspect. Carpeted Flooring and ceiling lights, fitted wardrobes and a large double glazed window facing the rear aspect over looking the garden. Double glazed window facing the side aspect and rear door to the garden. Carpeted flooring and ceiling lights.